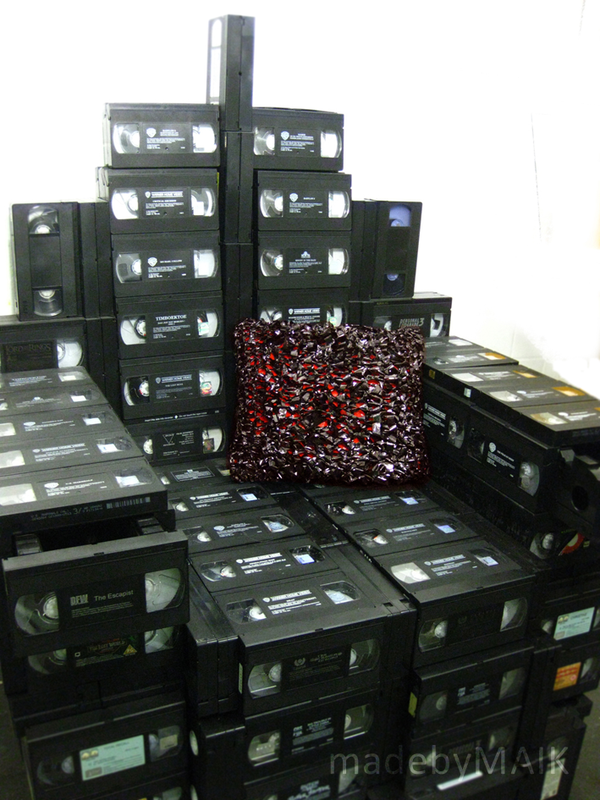 This chair is made just out of VHS tapes. 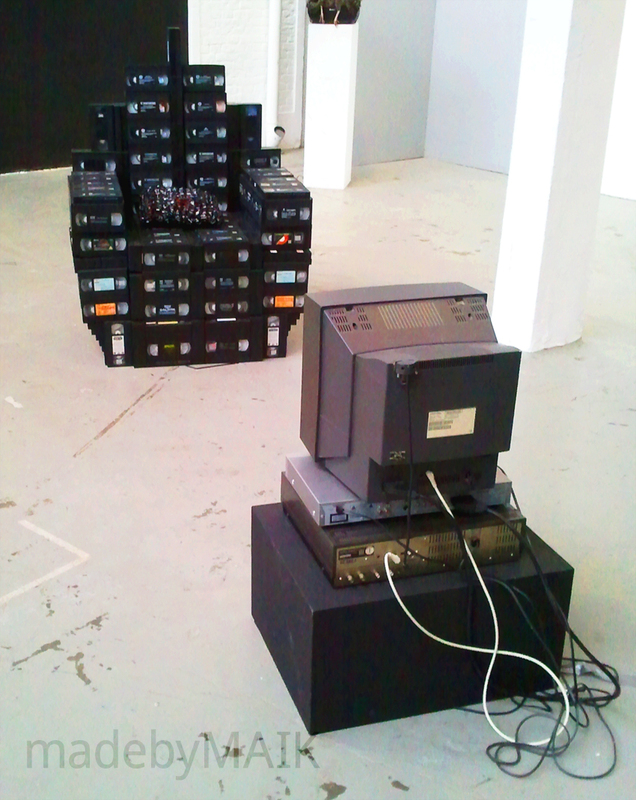 About 400 tapes are used. 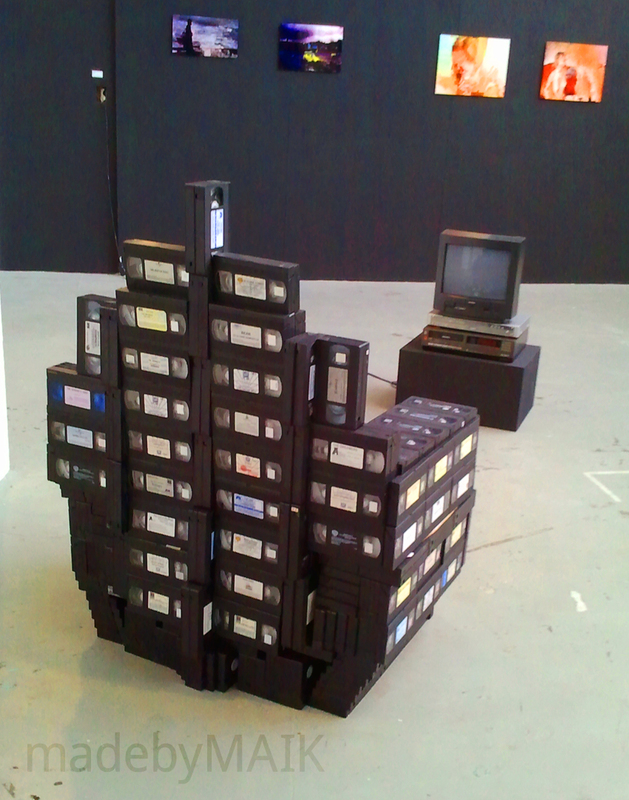 The pillowcover is made of knitted magnetic tape out of a VHS.